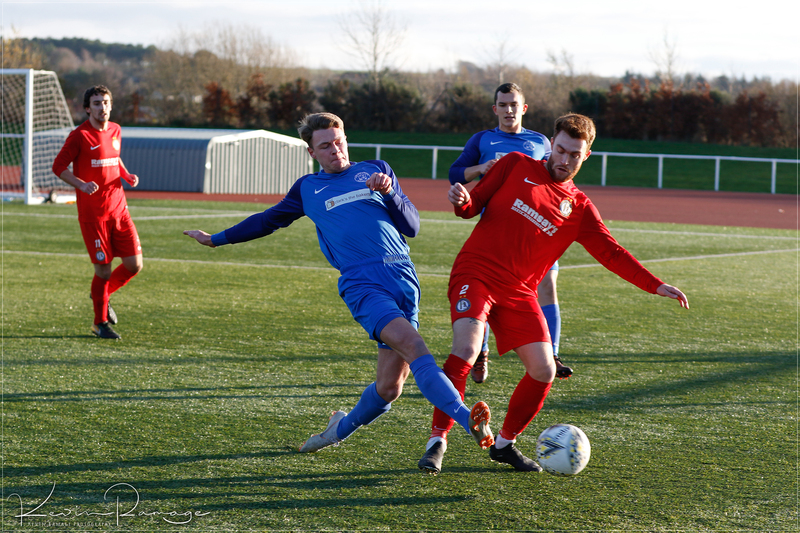 Rovers run in the Scottish Junior Cup came to an end against Lochee Utd despite putting in a never say die ninety minutes. 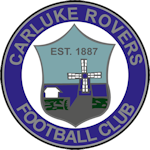 Carluke should have opened the scoring after five minutes when a neat Lafferty through ball allowed Haley to sprint in on goal and what looked like a certain goal bound shot across the keeper was tipped round the post. Two minutes later Mark Weir burst through two tackles as he ran towards goal and as he shaped to shoot at the edge of the box had his legs taken from behind. Inexplicably the Lochee player was only spoken to by the referee with the resultant free kick taken by Biggart who’s bulleted effort was turned round the post by the visitors keeper. The remainder of the half saw both teams trying hard to create chances and Rovers keeper Dave Cherrie tipping a shot over the bar on the stroke of half time. 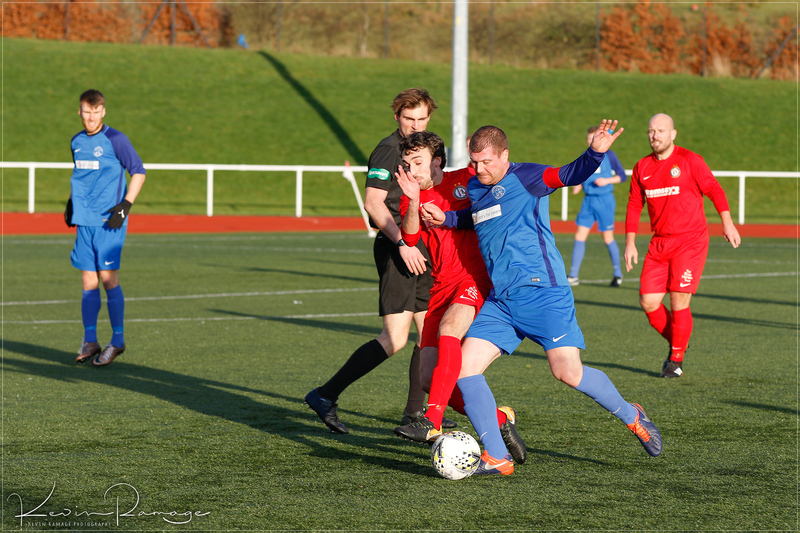 With the second half a mere five minutes old the visitors opened the scoring as Rovers committed numbers to an attacking move which broke down on the edge of the Lochee box allowing the visitors to set up a quick counter attack. 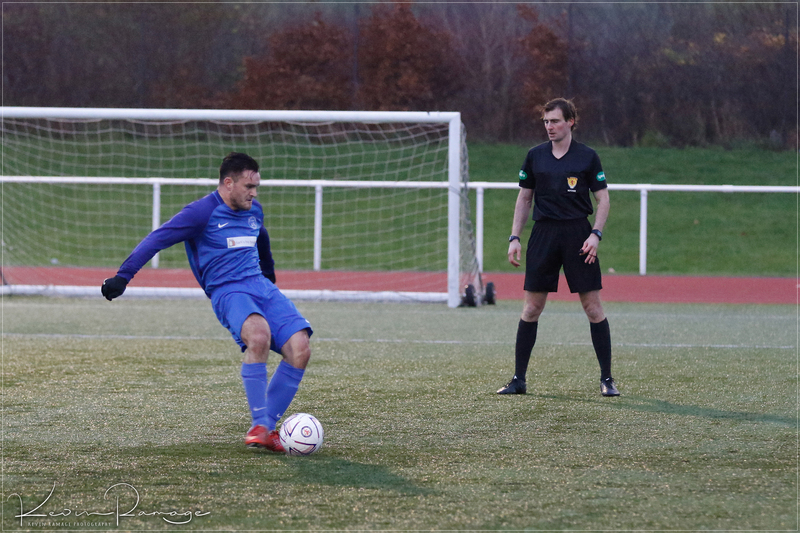 Rovers Cassidy looked to have thwarted the move as he blocked a strong pass across the edge of the box which unfortunately fell at the feet of Lochee striker who slotted the ball neatly into the net from 12 yards. Two minutes later Carluke were reduced to ten men after Kane picked up a second yellow card for a foul after being dispossessed in the middle of the park. Lochee made the extra man count and scored their second goal on the hour mark from a corner which deflected off the top of their unaware strikers head at the near post in a comedy of error and looped over The Rovers keeper into the net. To their credit Rovers continued to work hard to create scoring chances and pulled a goal back after 67 minutes when Weir threaded an inch perfect twenty yard pass through to Haley who was deliberately tripped in the box then fired home the resultant penalty. The referee again failed to caution or even speak to the Lochee offending player. Rovers almost drew level on seventy minutes when a Weir corner from the right was headed narrowly over the bar by Watson. 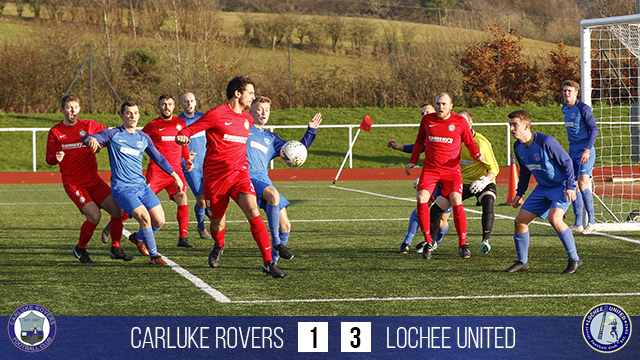 With Rovers pressing high for an equaliser in the 85th minute a well constructed attack once again broke down on the edge of the Lochee box who countered at speed scoring their third of the afternoon and ending Rovers hopes of further progression in the cup.